I’m talking about shoes. That’s right. 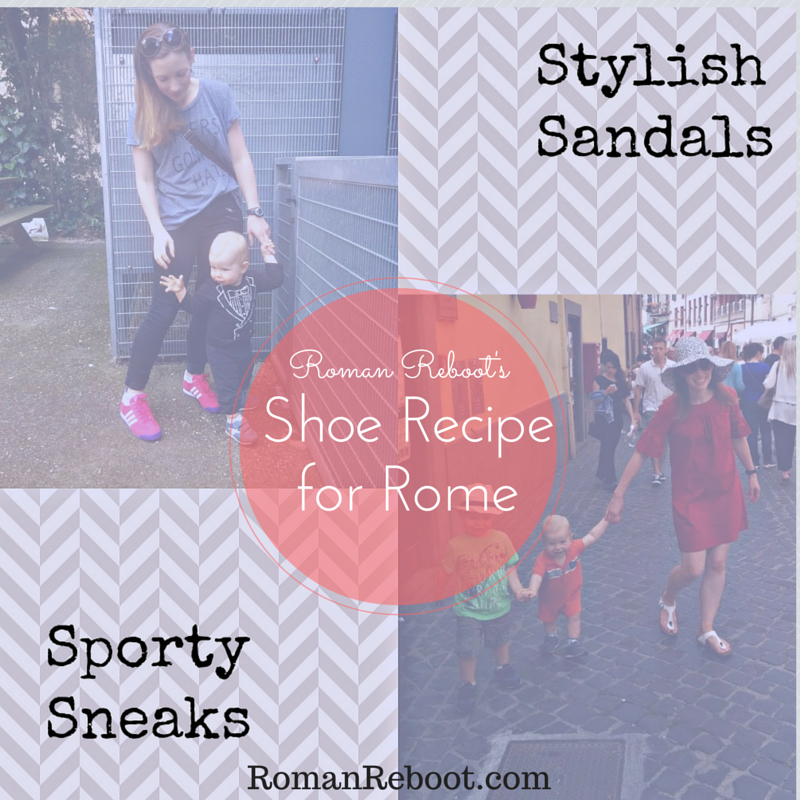 Your footwear can mean the difference between your strolling through the Forum in comfort or limping through the sights, too distracted by blisters to appreciate the wonder of the city. Your shoes can mean the difference between feeling cute on your Roman Holiday or feeling like you sacrificed your personal style for a safe, comfortable option. Luckily, I think you can have both fashion and function. In fact, I advocate a two-part plan of attack. If you find the right shoes, you can do your whole vacation with just two pairs. Trust. So what is this magic recipe, you scoff? When we first got here, I gawked at sky high heels. But then I realized that these are not the rule. And when I looked even closer, I realized that many Romans are sporting cool styles that could walk for miles. 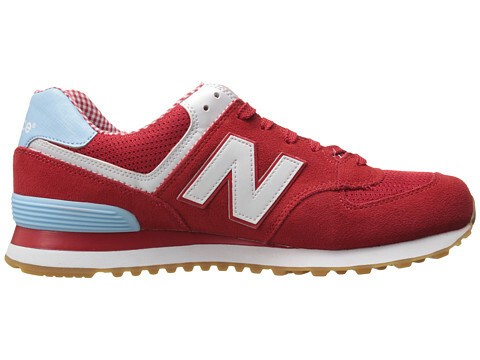 Have you guys noticed how gosh darn cool some sneakers have gotten these days? Throwback styles, fun prints, you name it. The trick is to pick something with cushion and style. This is not the time to look like you are about to sweat to the oldies or pump some iron. I have seen LOTS of fun sneakers here. Neon colors. Floral prints. Even some sequins. Just like your crazy pants, if you ever wanted to try out a fun sneaker, THIS is the place to do it. In case you are curious on brands, my completely unscientific observations are lots of Adidas and New Balance. Some Nike, Saucony, and Reebok. Some Puma, but not nearly as much as I expected. Oh, there are oodles of Chucks if this is your jam, but I cannot personally speak to comfort on these. Start with black if you aren’t feeling too crazy, although these also come in fun colors. I think every fashion blogger I follow has these and swears by them. Digging the retro vibe. Can’t go wrong with a classic. Great in the classic white. Fun in floral. 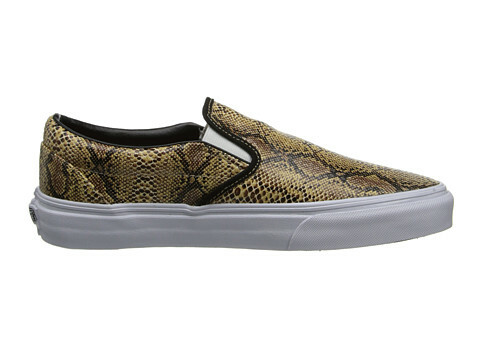 If laces aren’t your thing, slip-on sneakers are back in a big way. I haven’t done it yet, but I am dangerously close to adding some Vans to my collection. Yes, this is hypocritical as I called my middle school friends posers for their Airwalks and Etnies when they were only casual skate aficionados. Don’t care. 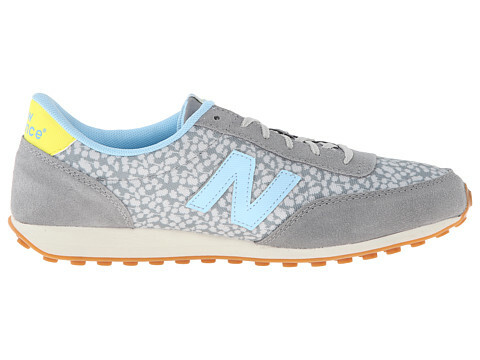 While regular sneaks have great potential for pops of color, I’ve been seeing slip-ons with so many fun prints. I want them all. I’m so close, you guys. So close. Unless I need these. This is why I haven’t pulled the Vans trigger! So many choices!! When deciding how crazy to go, consider the rest of your wardrobe. If you are like me and have finally realized that you only wear gray and other neutrals, try a bright color or print. If your wardrobe has a little more pizzazz, maybe consider a more supporting player. I fully support pattern mixing, but make sure you find an option that works for multiple outfits. 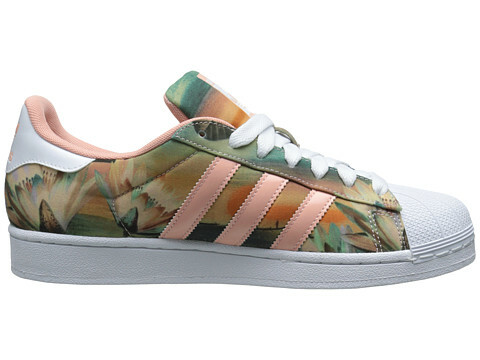 If you are looking for sneaker inspiration, The Mom Edit has a great roundup. I think comfortable and cute sandals are the Holy Grail of footwear. I’ve had some luck finding decent Naturalizers in the past, but I’m not loving their styles this year. Same for Aerosoles. I did have a great experience with a pair of Rocket Dogs once. And this is where I get kind of stuck you guys. I’m sure there are plenty of comfy sandals out there that are not in a comfort brand, but I’m too lazy to order them without knowing and I’m never in stores to try them on. This summer, I ended up going with Birkenstocks. I know, I know, some of you hate on these, but hear me out. There are more fun styles than just the traditional two strap now. And I’m not sure that mine have it, but I have heard great things about the new soft footbed styles. 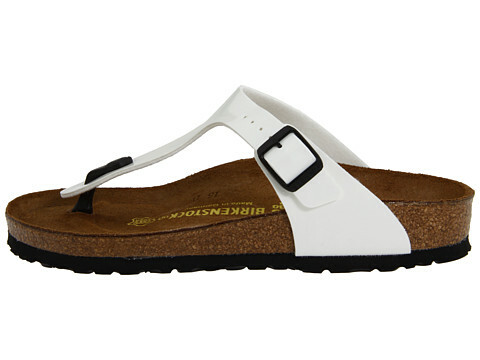 If you are interested in Birks, you could even wait until you arrive to purchase. They seem to be a little bit cheaper here. Whatever you pick, same rules for sneaks apply. Look at your wardrobe. Pick someone who will play nice with everyone. I really like metallics as easy to wear with everything. In my ideal sightseeing world, you would build a pause into your day. Maybe you hit it hard in the morning, have a leisurely lunch and rest, and then head back out in the late afternoon. Maybe you go strong all day and then have a late afternoon rest at your hotel before heading out for dinner. At a place when many restaurants don’t open until 7:30 pm, you’re going to need a break. Whenever you break, take this opportunity to change your shoes. 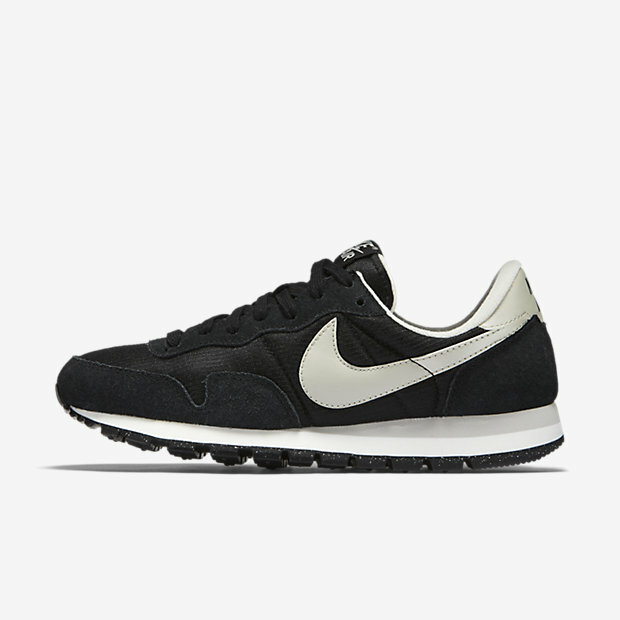 It isn’t mandatory, but I think it can help your feet feel fresher and renewed to tackle the city. Let’s say you wear your sneaks to the Colosseum and Forum. (Which I would definitely recommend, because of grit, rocks, and dust.) Then, after your afternoon rest, you slip into your sandals for your evening passagiata and dinner. And that’s just about all you need. I’d try to find sandals that would make you feel like you could walk into a dressy restaurant for dinner. Or just wear your sneakers since sneakers and dresses are a thing now. Now some of you might be all, but what about other great closed toe options? What about loafers? Ballet flats? To that, I say, if you can find one that feels great, go for it. For me, shoes in this category fall into the a few hours comfort, but not all day comfort. They could be OK for medium walking, but maybe not EVERYWHERE walking. I’m still on the hunt for this category. I haven’t tried Tieks yet because I’d like to try on something that expensive before buying it, but I know some people rave. Also, I know some people swear by the Cole Haan ballet flats, but I wasn’t blown away in store. This loafer speaks to me. 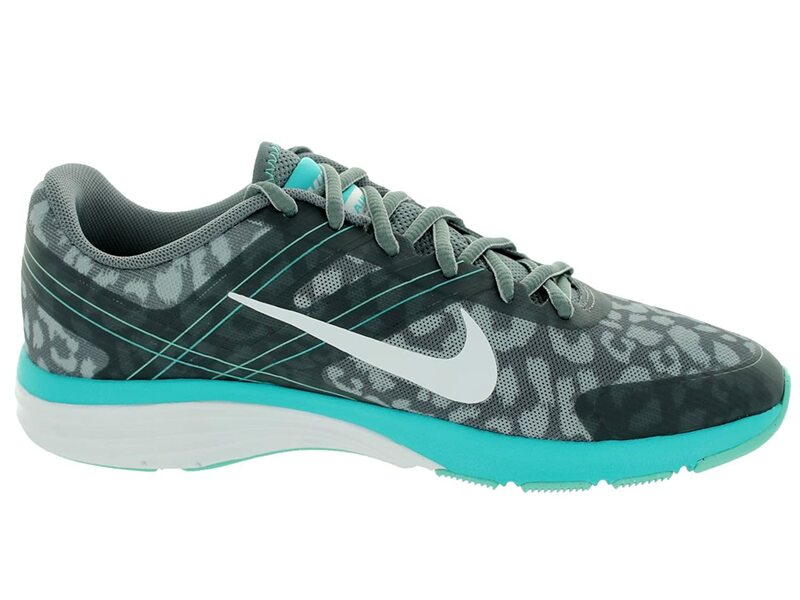 I have a similar printed pair that I love, but definitely only rate for medium walking comfort. These were some of my fave commuter shoes, but I wouldn’t wear them all day. Any other footwear suggestions? Have you tried Tieks? Any recommendations on comfortable sandals? Uh, asking for a friend. Great post and I ADORE your blog 🙂 good job!